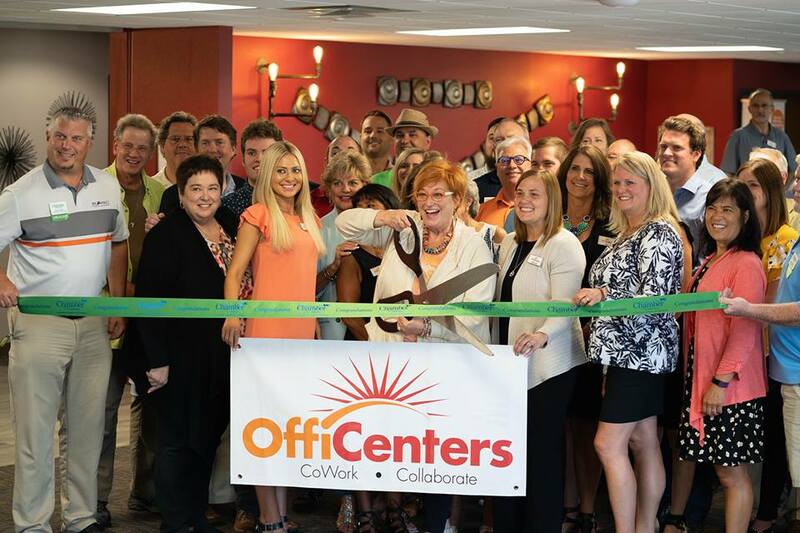 OffiCenters made its official connection to the Woodbury Business Community on August 9 at our Grand Opening celebration. Attended by over 100 members, guests and chamber dignitaries, Woodbury OffiCenter “Cut the Ribbon” on our first space in the east metro. The festivities included a tasty selection of food served up by Blue Coconut BBQ food truck. And, no OffiCenter party would be complete without fun adult beverages and music by our friend, Scottie Miller. We are thrilled to be part of the Woodbury business community and want to extend an invite for you to join us on Thursday, September 4 any time between 7:30 and 9:00AM as OffiCenters will be hosting Good Morning Woodbury in our coworking space. This before hours networking includes coffee, light breakfast fare and the chance to connect with our members and Woodbury chamber members on your way to work! We are also hosting our Slice of Woodbury on Tuesday, September 18 from 11:30AM-1PM. Join us for lunch and this networking event that is already well attended! Connecting with Community, it’s what we are all about at OffiCenters!